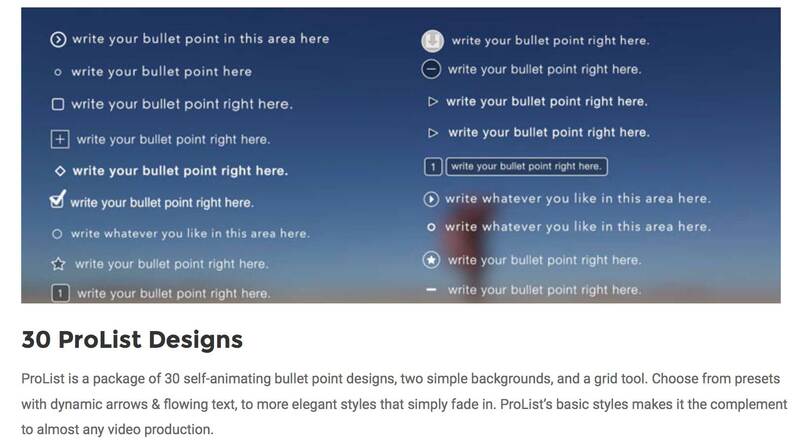 This Final Cut Pro X plugin is great for demonstrating bullet points. 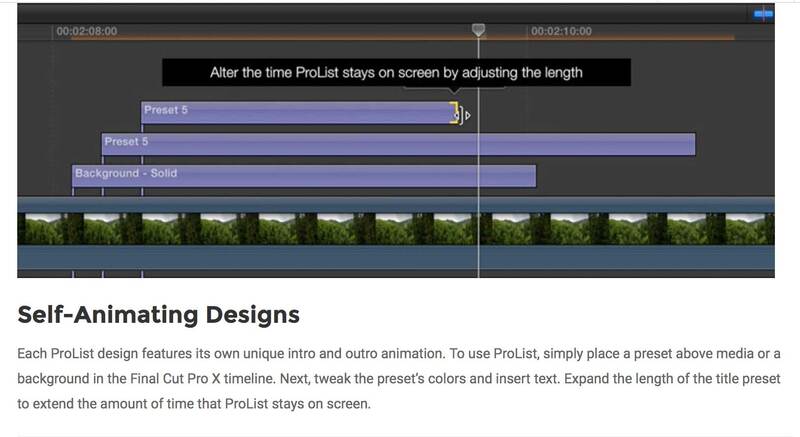 Editors start by inserting a background into the FCPX timeline. Adjust the controls provided to achieve the desired look. 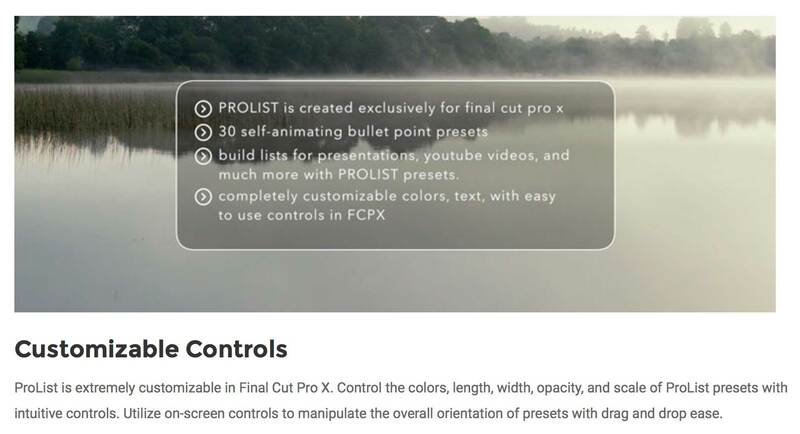 Next, insert a ProList preset and adjust the bullet point colors and text to match the style of the video. 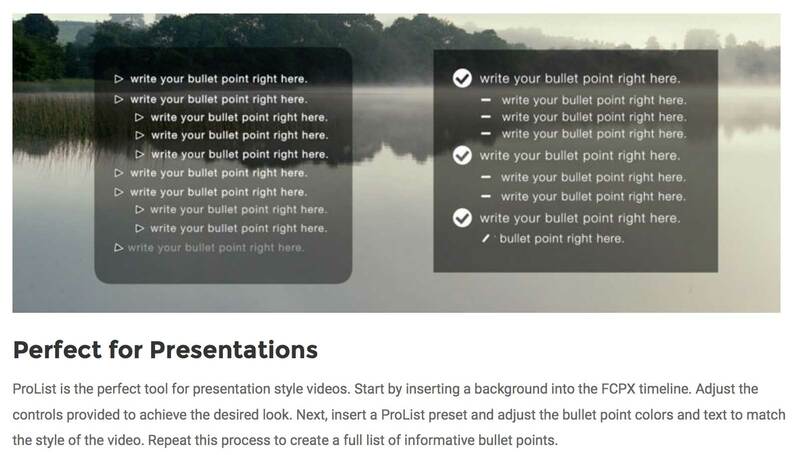 Repeat this process to create a full list of informative bullet points.